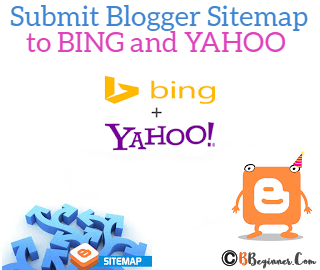 How to Submit Blogger Sitemap to Yahoo and Bing? As we already discussed in our previous post about submitting blogger (blogspot) sitemap to Google Webmaster Tools. In this article, we will learn how to submit Blogger sitemap to Bing and Yahoo. First of all let me tell you that Yahoo site explorer had merged with Bing Webmaster tools so submitting your blog to Bing will automatically index your blog in Bing and Yahoo both. Isn't it cool? This will surely help you to get organic traffic to your blog. So let's start the tutorial. If you do not know much about what is sitemap, you can simply refer to our previous post : How To Submit Blogger Sitemap To Google Webmaster Tools? To add your sitemap, simply follow the steps below. Log into your Bing Webmaster Tools or you can do hotmail login from microsoft. Don't forget to replace yourblogname.blogspot.com in the above code with your blog address. For ease, I prefer the meta tag method. Copy the code (meta tag) from the web page and follow the steps below to verify your site ownership. Search for <head> tag and paste the code below the <head> tag. It takes up to 3-4 days for the Bing and Yahoo to index your blog posts. In the meanwhile, use the tools in the Webmaster Tools to improve your site. 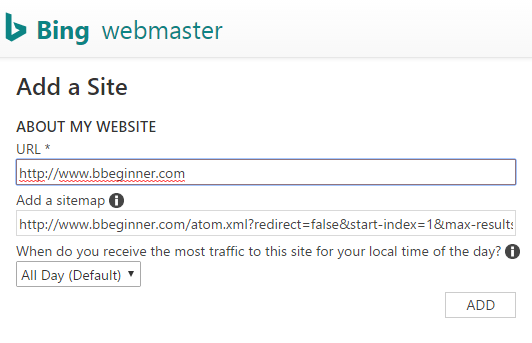 We will soon publish more articles on improving your site's visibility through Webmaster tools. So stay tuned and stay connected.